Up to 2 Octaves down! 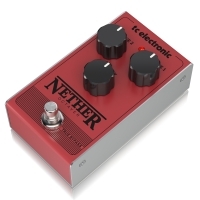 The TC Electronic Nether Octaver is an all-analog, true bypass pedal effect that can deliver 1 or 2 octaves below the original signal. It brings a warm, transparent and a voluminous bottom end sound that fattens your tone and works great when coupled with high gain! 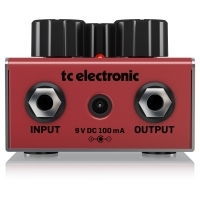 You have the choice of either using only one or both octaves mixed, while having the ability to control the volume of octave 1 and 2 separately. 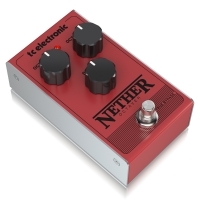 The TC Electronic Nether is darn easy to use and priced so well it is insane not to give it a try.